And I'm back with another post on my (not) so exciting life. Has it already been two months since the last one?!? January and December were not as eventful as October and November. Anyways here's my favourite quote from Pinterest. 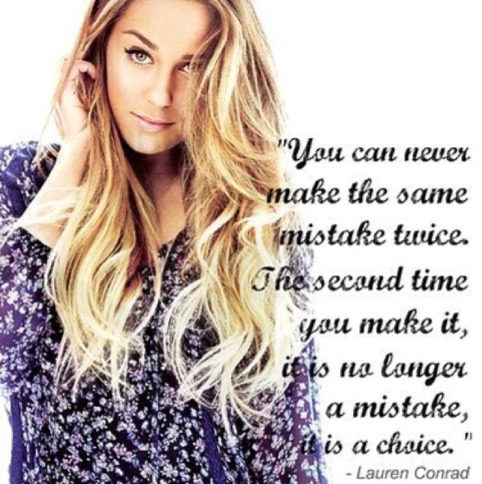 Lauren Conrad is such an awesome person. I was so relieved that the Christmas holidays began. School was (sort of) a doss when the exams were finished. On the last day we had a Carol Service and that night I went to my friends house for a partaaay. I got my report the next day and I was very happy. I was really glad with the teacher's comments. I also got my piano results which were good. I'm now in Grade 3! Lol, do you play an instrument? I looove Christmas! It's my favourite occasion (besides my birthday). I love the festive cheer, food, and who doesn't love presents? I had a wonderful Christmas break, having fun days with my friends, but mostly I was spending a lot time with my family, giving presents, chatting and eating scrumptious food. Would you like to read more about what I've been up to during Christmas break? Then click on the links below to see some festive posts! I didn't get time to post a OOTD/Blog on New Years Eve or Day as I was pretty busy that night and stuff. I wore a new Jack Wills jumper my mum kindly bought me, and I ate so many chocolate fingers! I posted my New Years Resolutions and Plans for my Blog, and if you want to see it, click here. I don't really hate school too much, it's just that I was really enjoying my time off. I liked going back, asI got to meet up with some of my pals that I hadn't seen in a while, got to play hockey once again and got used to the homework routine eventually. My class started reading The Outsiders before Christmas, and our English teacher told us to finish during the holidays. Most people were annoyed, but I wasn't, I loooove reading! The Outsiders is a great book! It's about two rival groups, the Greasers and the Socs in the sixties who are separated by wealth. I finished it about five days before we were back. I might do a book review on it soon. So school is going well. So nothing much, as you can pretty much see, has happened in the past two months. There will be a January Favourites up soon. I really have to do more outfit posts. Get hyped up for the day of love! If you want to learn more about my life then follow! 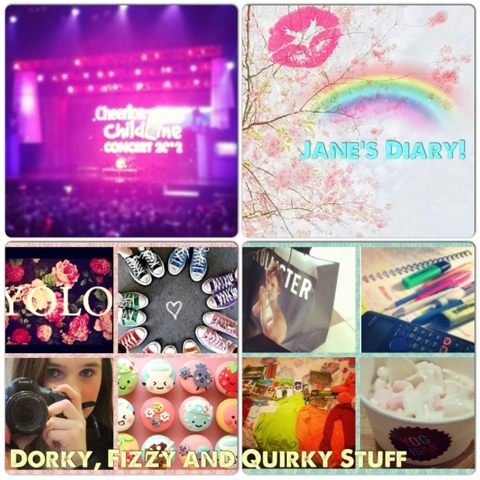 Right now I'm doing the February Photo Challenge on Instagram, so make sure to join me! The next diary entry will be in April!